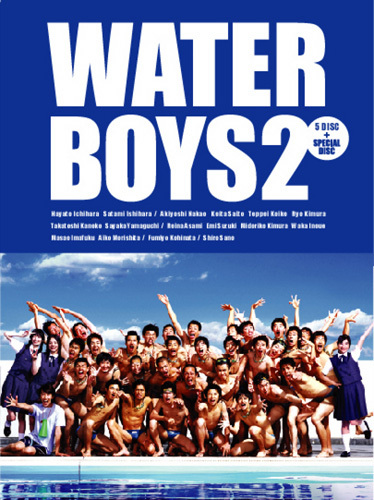 Water Boys was a major sliver screen hit in 2001 that took the Japanese public by storm in depicting high school boys who pour all the passion of their youth into becoming synchronized swimmers. The year 2003 saw the start of a new TV series of the same name that maintained the overall atmosphere of the film while making new developments, and becoming a summer hit with the amazing synchronized swimming feats it depicted. And then in the summer of 2004 a second season of the series with fun and a sense of pathos opened, this time with a new town as the setting and depicting the passion, friendship and love of 32 boys who are absolutely nuts about synchronized swimming.The fascinating synchronized swimming scenes are more powerful than ever. In addition to the scenes of a public performance in the last installment, the show has loads of excitement and thrills throughout. nubz Nov 22 2014 3:40 am Such a great drama. Sugoii!!!! !